The Swiss Cultural Association NA BOLOM.ch invites you to visit the Stand of the Museum of the Swiss abroad at the 29th International Book and Press Fair of Geneva, from the 29th until the 3rd May 2015 in Palexpo, Geneva. 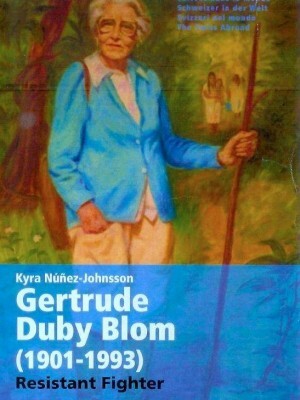 The book “Gertrude Duby Blom, resistant fighter”, a publication of the Museum in English, French, and Spanish Is available there. The author Kyra Nuñez-Johnsson, a Mexican journalist and writer as well as President of Nabolom.ch. 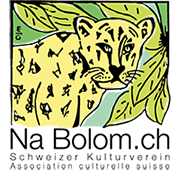 For technical reasons, the Executive Committee of the Swiss Cultural Association Na Bolom.ch postponed until further notice, the General Assembly scheduled for Thursday, March 19, 2015 at 7 pm. The General Assembly was foreseen as a virtual exercise because of the widespread membership not only in Switzerland but also in other countries in Europe, America and Asia. Since it is quite complicated to organise such an innovative meeting, the Executive Committee will do everything possible to implement it soon. Progress has been made in the opening of a multi-user account on Skype, for which we request that members wishing to participate in the General Assembly accept to be invited to the Skype account and that they send us their Skype address. We invite honorary members to join the General Assembly, while reminding them that their participation does not include the right to vote unless they have previously registered as a formal member to: secretaria@nabolom.ch and receive their confirmed registration. We would appreciate knowing your preferred schedule to take part in a Skype meeting. 7 pm in continental Europe is between 7 and 9 hours less in the Americas, and 10 to 12 hours more in far Asia. We foresee a prior Skype communication to test the viability of the event. Since elections shall be conducted during the General Assembly, the Executive Committee will foresee a form of electronic voting, which will be shared with members as soon as possible. Na Bolom.ch is an innovative partnership. In line with the environmentalist spirit of Gertrude Duby Blom – our reason for being – and as Members and Honorary Members have already witnessed, we opted for electronic communications to avoid as much as we can, depletion of forest and natural resources of our planet. With this first virtual General Assembly, we continue this effort and seek the inclusion of all our members in countries wherever they are while avoiding depleting the ozone layer by travelling to Switzerland.